THERE is great need in this day for Christian business men to inform their mundane affairs with the spirit of prayer. There is a great army of successful merchants of almost every kind who are members of Christ’s Church and it is high time these men attended to this matter. This is but another version of the phrase, “putting God into business,” the realization and restraint of His presence and of His fear in all the secularities of life. We need the atmosphere of the prayer-closet to pervade our public salesrooms and counting-houses. The sanctity of prayer is needed to impregnate business. We need the spirit of Sunday carried over to Monday and continued until Saturday. But this cannot be done by prayerless men, but by men of prayer. We need business men to go about their concerns with the same reverence and responsibility with which they enter the closet. Men are badly needed who are devoid of greed, but who, with all their hearts, carry God with them into the secular affairs of life. Men of the world imagine prayer to be too impotent a thing to come into rivalry with business methods and worldly practices. Against such a misleading doctrine Paul sets the whole commands of God, the loyalty to Jesus Christ, the claims of pious character, and the demands of the salvation of the world. Men must pray, and put strength and heart into their praying. This is part of the primary business of life, and to it God has called men, first of all. Praying men are God’s agents on earth, the representative of government of heaven, set to a specific task on the earth. While it is true that the Holy Spirit, the angels of God, are agents of God in carrying forward the redemption of the human race, yet among them there must be praying men. For such men God has great use. He can make much of them, and in the past has done wonderful things through them. These are His instruments in carrying out God’s great purposes on the earth. They are God’s messengers, His watchmen, shepherds, workmen, who need not be ashamed. Fully equipped for the great work to which they are appointed, they honour God and bless the world. Above all things beside, Christian men and women must, primarily, be leaders in prayer. No matter how conspicuous they may be in other activities, they fail if they are not conspicuous in prayer. They must give their brain and heart to prayer. Men who make and shape the program of Christ’s Church, who map out its line of activity, should, themselves, be shaped and made by prayer. Men controlling the Church finances, her thought, her action – should all be men of prayer. The progress to consummation of God’s work in this world has two basic principles – God’s ability to give and man’s ability to ask. Failure in either one is fatal to the success of God’s work on earth. God’s inability to do or to give would put an end to redemption. Man’s failure to pray would, just as surely, set a limit to the plan. But God’s ability to do and to give has never failed and cannot fail; but man’s ability to ask can fail, and often does. Therefore the slow progress which is being made toward the realization of a world won for Christ lies entirely with man’s limited asking. There is need for the entire Church of God, on the earth, to betake itself to prayer. The Church upon its knees would bring heaven upon the earth. The wonderful ability of God to do for us is thus expressed by Paul in one of his most comprehensive statements, “And God is able to make all grace abound toward you,” he says, “that ye, always, having all sufficiency in all things, may abound to every good work.” Study, I pray you, that remarkable statement – “God is able to make all grace abound.” That is, He is able to give such sufficiency, that we may abound – overflow – to every good work. Why are we not more fully fashioned after this overflowing order? The answer is – lack of prayer-ability. “We have not because we ask not.” We are feeble, weak and impoverished, because of our failure to pray. God is restrained in doing because we are restrained by reason of our non-praying. All failures in securing heaven are traceable to lack of prayer or misdirected petition. Prayer must be broad in its scope – it must plead for others. Intercession for others is the hall-mark of all true prayer. When prayer is confined to self and to the sphere of one’s personal needs, it dies by reason of its littleness, narrowness and selfishness. Prayer must be broad and unselfish or it will perish. Prayer is the soul of a man stirred to plead with God for men. In addition to being interested in the eternal interests of one’s own soul it must in its very nature, be concerned for the spiritual and eternal welfare of others. One’s ability to pray for self, finds its climax in the compassion its concern expresses for others. In 1 Timothy 2, the Apostle Paul urges with singular and specific emphasis, that those who occupy positions of influence and places of authority, are to give themselves to prayer. “I will, therefore, that the men pray everywhere.” This is the high calling of the men of the Church, and no calling is so engaging, so engrossing and so valuable that we can afford to relieve Christian men from the all-important vocation of secret prayer. Nothing whatever can take the place of prayer. Nothing whatever can atone for the neglect of praying. This is uppermost, first in point of importance and first in point of time. No man is so high in position, or in grace, to be exempt from an obligation to pray. No man is too big to pray, no matter who he is , nor what office he fills. The king on his throne is as much obligated to pray as the peasant in his cottage. None is so high and exalted in this world or so lowly and obscure as to be excused from praying. The help of every one is needed in prosecuting the work of God, and the prayer of each praying man helps to swell the aggregate. The leaders in place, in gifts and in authority are to be chiefs in prayer. Civil and Church rulers shape the affairs of this world. And so civil and Church rulers themselves need to be shaped personally in spirit, heart and conduct, in truth and righteousness, by the prayers of God’s people. This is in direct line with Paul’s words: ” I exhort therefore,” he says, ” that, first of all, supplications, prayers, intercessions, and giving of thanks be made for all men for rulers and all that are in authority.” It is a sad day for righteousness when church politics instead of holy praying, shapes the administration of the Kingdom and elevates men to place and power. Why pray for all men? Because God wills the salvation of all men. God’s children on earth must link their prayers to God’s will. Prayer is to carry out the will of God. God wills the salvation of all men. His heart is set on this one thing. Our prayers must be the creation and exponent of God’s will. We are to grasp humanity in our praying as God grasps humanity in His love, His interest and His plans to redeem humanity. Our sympathies, prayers, wrestling and ardent desires must run parallel with the will of God, broad, generous, world-wide and Godlike. The Christian man must in all things, first of all, be conformed to the will of God, but nowhere shall this royal devotion be more evident than in the salvation of the race of men. This high partnership with God, as its vicegerents on earth, is to have its fullest, richest, and most efficient exercise in prayer for all men. Men are to pray for all men, are to pray especially for rulers in Church and state, ” that we may lead a quiet and peaceable life in all godliness and honesty.” Peace on the outside and peace on the inside. Praying calms disturbing, forces, allays tormenting fears, brings conflict to an end. Prayer tends to do away with turmoil. But even if there be external conflicts, it is well to have deep peace within the citadel of the soul. “That we may lead a quiet and peaceable life.” Prayer brings the inner calm and furnishes the outward tranquillity. Praying rulers and praying subjects were they worldwide would allay turbulent forces, make wars to cease, and peace to reign. Men must pray for all men that we may lead lives ” in all godliness and honesty.” That is with godliness and gravity. Godliness is to be like God. It is to be godly, to have God-likeness, having the image of God stamped upon the inner nature, and showing the same likeness in conduct and in temper. Almighty God is the very highest model, and to be like Him is to possess the highest character. Prayer moulds us into the image of God;’ and at the same time tends to mould others into the same image just in proportion as we pray for others. Prayer means to be God-like, and to be God-like is to love Christ and love God, to be one with the Father and the Son in spirit, character and conduct. Prayer means to stay with God till, you are like Him. Prayer makes a godly man, and puts within him “the mind of Christ,” the mind of humility, of self-surrender, of service, of pity, and of prayer. If we really pray, we will become more like God, or else we will quit praying. “Men are to pray everywhere,” in the closet, in the prayer-meeting, about the family altar, and to do it, “lifting up holy hands, without wrath and doubting.” Here is not only the obligation laid upon the men to pray, but instructions as to how they should pray. “Men must pray without wrath.” That is without bitterness against their neighbours or brethren; without the obstinacy and pertinacity of a strong will, and hard feelings, without an evil desire or emotion kindled by nature’s fires in the carnal nature. Praying is not to be done by these questionable things, nor in company with such evil feelings, but “without ” them, aloof and entirely separate from them. This is the sort of praying the men are called upon to do, the sort which God hears and the kind which prevails with God and accomplishes things. Such praying in the hands of Christian men become divine agencies in God’s hands for carrying on God’s gracious purposes and executing His designs in redemption. Prayer has a higher origin than man’s nature. This is true whether man’s nature as separate from the angelic nature, or man’s carnal nature unrenewed and unchanged be meant. Prayer does not originate in the realms of the carnal mind. Such a nature is entirely foreign to prayer simply because “the carnal mind is enmity against God.” It is by the new Spirit that we pray, the new spirit sweetened by the sugar of heaven perfumed with the fragrance of the upper world, and invigorated by a breath from the crystal sea. The “new spirit ” is native to the skies, panting after the heavenly things, inspired by the breath of God. It is the praying temper from which all the old juices of the carnal, unregenerate nature have been expelled, and the fire of God has created the flame which has consumed worldly lusts, and the juices of the Spirit have been injected into the soul, and the praying is entirely divorced from wrath. Men are also to pray ” without doubting.” The Revised Version puts it, “without disputings.” Faith in God, belief in God’s Word, they must have “without question.” No doubting or disputing must be in the mind. There must be no opinions, nor hesitancy, no questioning, no reasoning, no intellectual quibbling, no rebellion, but a strict, steadfast loyalty of spirit to God, a life of loyalty in heart and intellect to God’s Word. God has much to do with believing men, who have a living, transforming faith in Jesus Christ. These are God’s children. A father loves his children, supplies their needs, hears their cries and answers their requests. A child believes his father, loves him, trusts in him, and asks him for what he needs, believing without doubting that his father will hear his requests. God has everything to do with answering the prayer of His children. Their troubles concern Him, and their prayers awaken Him. Their voice is sweet to Him. He loves to hear them pray, and He is never happier than to answer their prayers. Prayer is intended for God’s ear. It is not man, but God who hears and answers prayer. Prayer covers the whole range of man’s need. Hence, in everything, by prayer and supplication, “are requests to be made known unto God.” Prayer includes the entire range of God’s ability. “Is anything too hard for God?” Prayer belongs to no favoured segment of man’s need, but reaches to and embraces the entire circle of his wants, simply because God is the God of the whole man. God has pledged Himself to supply the needs of the whole man, physical, intellectual and spiritual. “But my God shall supply all your need according to his riches in glory by Christ Jesus.” Prayer is the child of grace, and grace is for the whole man, and for every one of the children of men. 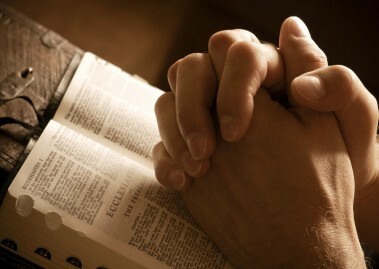 NO insistence in the Bible is more pressing than the injunction it lays upon men to pray. No exhortation contained therein is more hearty, more solemn, and more stirring. No principle is more strongly inculcated than that “men ought always to pray and not to faint.” In view of this enjoinder it is pertinent to inquire as to whether Christian people are praying men and women in anything like body and bulk? Is prayer a fixed course in the schools of the Church? In the Sunday school, the home, the colleges, have we any graduates in the school of prayer? Is the Church producing those who have diplomas from the great university of prayer? This is what God requires, what He commands, and it is those who possess such qualifications that He must have to accomplish His purposes and to carry out the work of His Kingdom on earth. And it is earnest praying that had need to be done. Languid praying, without heart or strength, with neither fire nor tenacity, defeats its own avowed purpose. The prophet of olden times laments that in a day which needed strenuous praying there was no one who “stirred up himself to take hold of God.” Christ charges us “not to faint” in our praying. Laxity and indifference are great hindrances to prayer, both to the practice of praying and the process of receiving; it requires a brave, strong, fearless and insistent spirit to engage in successful prayer. Diffuseness, too, interferes with effectiveness. Too many petitions break tension and unity, and breed neglect. Prayers should be specific and urgent. Too many words, like too much width, breeds shallows and sand-bars. A single objective which absorbs the whole being and’ inflames the entire man, is the properly constraining force in prayer. It is easy to see how prayer was a decreed factor in the dispensations preceding the coming of Jesus, and how that their leaders had to be men of prayer; how that God’s mightiest revelation of Himself was a revelation made through prayer. And, finally, how that Jesus Christ, in His personal ministry, and in His relation to God, was great and constant in prayer. His labours and dispensation overflowed with fullness in proportion to His prayers. The possibilities of His praying were unlimited and the possibilities of His ministry were in keeping. The necessity of His praying was equalled only by the constancy with which He practiced it during His earthly life. The dispensation of the Holy Spirit is a dispensation of prayer, in a preeminent sense. Here prayer has an essential and vital relation. Without depreciating the possibilities and necessities of prayer in all the preceding dispensations of God in the world it must be declared that it is in this latter dispensation that the engagements and demands of prayer are given their greatest authority, their possibilities rendered unlimited and their necessity insuperable. These days of ours have sore need of a generation of praying men, a band of men and women through whom God can bring His great and His greatest movements more fully into the world. The Lord our God is not straitened within Himself, but He is straitened in us, by reason of our little faith and weak praying. A breed of Christian is greatly needed who will seek tirelessly after God, – who will give Him no rest, day and night, until He hearken to their cry. The times demand praying men who are all athirst for God’s glory, who are broad and unselfish in their desires, quenchless for God, who seek Him late and early, and who will give themselves no rest until the whole earth be filled with His glory. Men and women are needed whose prayers will give to the world the utmost power of God; who will make His promises to blossom with rich and full results. God is waiting to hear us and challenges us to bring Him to do this thing by our praying. He is asking us, to-day, as He did His ancient Israel, to prove Him now herewith.” Behind God’s Word is God Himself, and we read: “Thus saith the Lord, the Holy One of Israel, his Maker: Ask of me of things to come and concerning my sons, and concerning the work of my hands, command ye me.” As though God places Himself in the hands and at the disposal of His people who pray – as indeed He does. The dominant element of all praying is faith, that is conspicuous, cardinal and emphatic. Without such faith it is impossible to please God, and equally impossible to pray. There is a current conception of spiritual duties which tends to separate the pulpit and the pew, as though the pulpit bore the entire burden of spiritual concerns, and while the pew was concerned only with duties that relate to the lower sphere of the secular and worldly. Such a view needs drastic correction. God’s cause, its obligations, efforts and successes, lie with equal pressure on pulpit and pew. But the man in the pew is not taxed with the burden of prayer as he ought to be, and as he must be, ere any new visitation of power come to the Church. The Church never will be wholly for God until the pews are filled with praying men. The Church cannot be what God wants it to be until those of its members who are leaders in business, politics, law, and society, are leaders in prayer. God began His early movements in the world with men of prayer. He chose such a man to be the father of that race who became His chosen people in the world for hundreds of years, to whom He committed His oracles, and from whom sprang the Promised Messiah. Abraham, a leader of God’s cause, was preeminently a praying man. When we consider his conduct and character, we readily see how prayer ruled and swayed this great leader of God’s people in the wilderness. “Abraham planted a grove in Beersheba, and called there on the name of the Lord, the everlasting God,” and it is an outstanding fact that wherever he pitched his tent and camped for a season, with his household, there he erected the altar of sacrifice and of prayer. His was a personal and a family religion, in which prayer was a prominent and abiding factor. Prayer is the medium of divine revelation. It is through prayer that God reveals Himself to the spiritual soul to-day, just as in the Old Testament days He made His revelations to the men who prayed. God shows Himself to the man who prays. “God is with thee in all that though doest.” This was the clear conviction of those who would fain make a covenant with Abraham, and the reason for this tribute was the belief commonly held concerning the patriarch that, not only was he a man of prayer, but a man whose prayers God would answer. This is the summary and secret of divine rule in the Church. In all ages God has ruled the Church by prayerful men. When prayer fails, the divine rulership fails. Christian people must pray for men. On one occasion, Samuel said unto the people, ” Moreover as for me, God forbid that I should sin against the Lord in ceasing to pray for you.” Fortunate for these sinful people who had rejected God, and desired a human king, that they had in Israel a man of prayer. The royal way to enlarge personal grace is to pray for others. Intercessory prayer is a means of grace to those who exercise it. We enter the richest fields of spiritual growth and gather its priceless riches in the avenues of intercessory prayer. To pray for men is of divine nomination, and represents the highest form of Christian service. Men must pray, and men must be prayed for. The Christian must pray for all things, of course, but prayers for men are infinitely more important, just as men are infinitely more important than things. So also prayers for men are far more important than prayers for things because men more deeply concern God’s will and the work of Jesus Christ than things. Men are to be cared for, sympathized with and prayed for, because sympathy, pity, compassion and care accompany and precede prayer for men, when they are not called out for things. All this makes praying a real business, not child’s play, not a secondary affair, nor a trivial matter but a serious business. The men who have made a success of praying have made a business of praying. It is a process demanding the time, thought, energy and hearts of mankind. Prayer is business for time, business for eternity. It is a man’s business to pray, transcending all other business and taking precedence over all other vocations, professions or occupations. Our praying concerns ourselves, all men, their greatest interests, even the salvation of their immortal souls. Praying is a business which takes hold of eternity and the things beyond the grave. It is a business which involves earth and heaven. All worlds are touched and worlds are influenced by prayer. It has to do with God and men, angels and devils. Jesus was preeminently a leader in prayer, and His praying is an incentive to prayer. How prominently prayer stands out in His life. The leading events of His earthly career are distinctly marked by prayer. The wonderful experience and glory of the Transfiguration was preceded by prayer, and was the result of the praying of our Lord. What words He used as He prayed we know not, nor do we know for what He prayed. But doubtless it was night, and long into its hours the Master prayed. It was while He prayed the darkness fled, and His form was lit with unearthly splendour. Moses and Elijah came to yield to Him not only the palm of law and prophecy, but the palm of praying. None other prayed as did Jesus nor had any such a glorious manifestation of the divine presence or heard so clearly the revealing voice of the Father, “This is my beloved Son; hear ye him.” Happy disciples to be with Christ in the school of prayer. How many of us have failed to come to this glorious Mount of Transfiguration because we were unacquainted with the transfiguring power of prayer. It is the going apart to pray, the long, intense seasons of prayer, in which we engage which makes the face to shine, transfigures the character, makes even dull, earthly garments to glisten with heavenly splendour. But more than this: it is real praying which makes eternal things real, close and tangible, and which brings the glorified visitors and the heavenly visions. Transfigured lives would not be so rare if there were more of this transfigured praying. These heavenly visits would not be so few if there was more of this transfigured praying. This entry was posted in Bible Teachings, Inspirational Messages and tagged God, heaven, power of prayer, pray always, prayer, prayer changes things, prayless christians. Em Bounds, why pray. Bookmark the permalink.